Born in Germany to parents who owned a country inn, Willi was introduced to cooking at a very young age. He started his cooking apprenticeship in September of 1965 and continued it until August of 1968. During this time, he was employed by The Hotel Russischer Hof in Würzburg, Germany and also had the opportunity to apprentice at the Würzburger Hofkellerei for two years. His culinary education took Willi through Germany, Switzerland, on cruise ships and to Canada. Over the years, Willi has worked in many great establishments with a variety of cooking styles. Trained in classical French cuisine, his style of cooking has evolved over the years and has led him to wine country cooking. 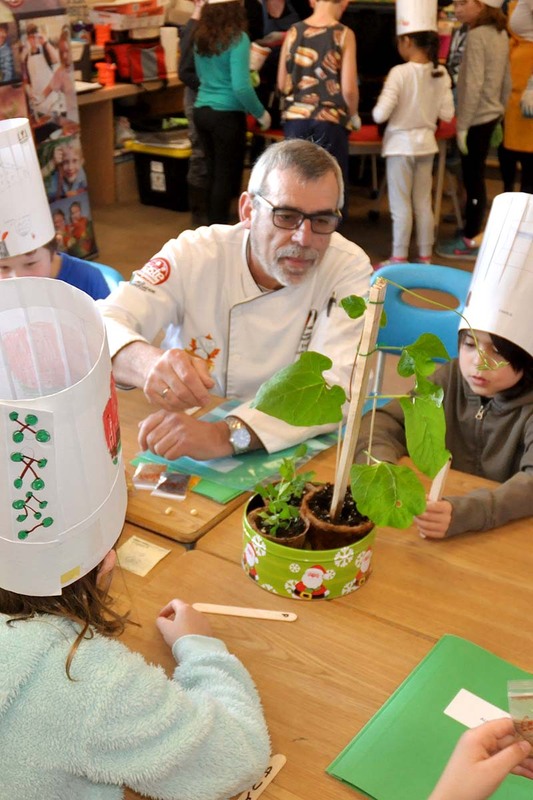 Chef Willi is now retired, but he stays busy with various projects such as Chefs in the Classroom – edible education. What is your favourite locally-sourced food? Fresh asparagus from a local farmer in Armstrong. What’s something you’ve learned from Chefs in the Classroom? That grade threes have an incredibly open mind and can be very excited about food. Do you have a favourite kid-friendly recipe you’d like to share? Kid approved popsicles. My Fussy Eater is also a good resource for kid-friendly recipes and eating tips! What makes volunteering with Chefs in the Classroom awesome? To pass on my passion for food to kids and see how excited they are to learn about different foods and how to cook them. How important it is to be aware of local grown foods and how to cook with them. Feeling inspired? Want to help share the joys of healthy, local eating with students in your community? Register to volunteer or for more information TODAY!